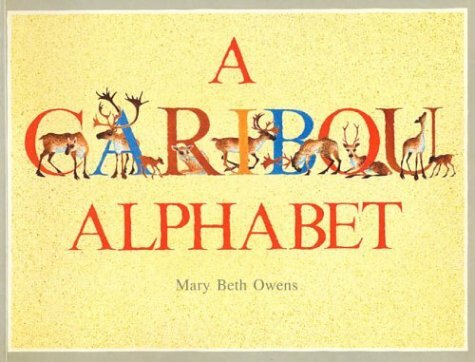 A poetic alphabet that is very informative on the ways of the Caribou. Well done. 40 pgs. Ages 4-8. 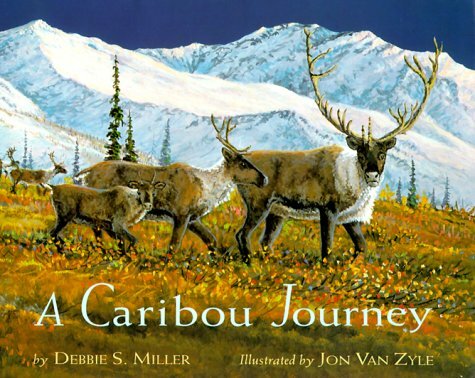 Surveys the migration, habits & habitat of a herd of Caribou in Alaska. 32 pgs. Ages 4-8. 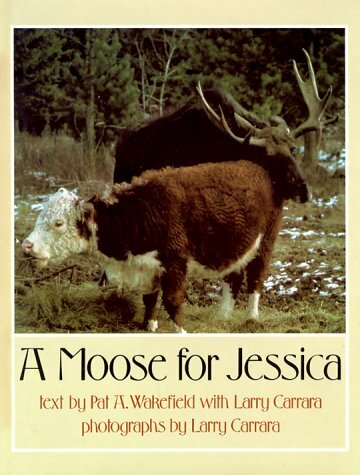 True story of a wild Bull Moose that fell in love with Hereford cow and the worldwide news coverage it attracted. Color photos. 60 pgs. 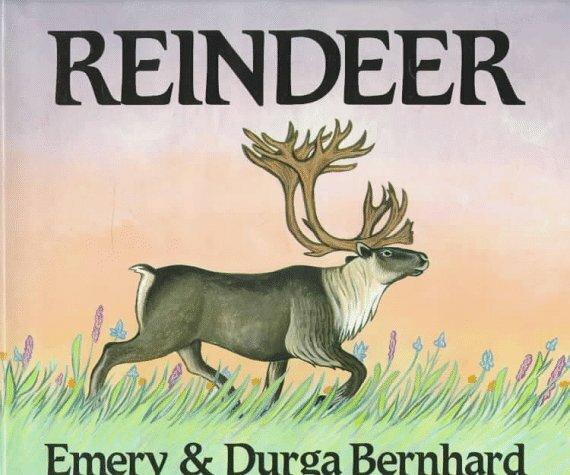 The classic story of Bambi, a forest deer. Follow him from a new born fawn until he becomes an antlered stag. Illustrations. 191 pgs. Ages 10 & up. In one of the earth's most amazing migrations, more than 100,000 caribou trek thousands of miles each year over high mountain ranges, through snowy passes and across icy rivers. 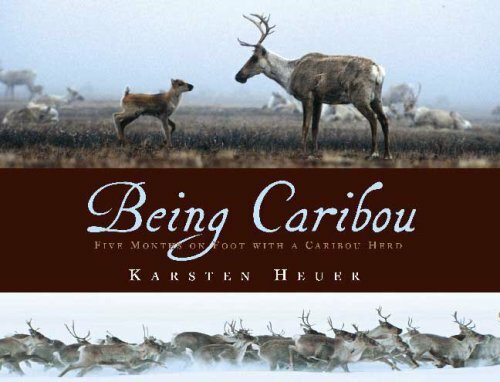 The author and his wife are the only humans ever to become part of a caribou herd and join it on its arduous journey. This book documents their incredible journey. 49 pages, color photos. Ages 9-12. Alice Hopf traces the life cycle of the American reindeer, known as caribou, through its first year. The young calf experiences many dangers - a grizzly bear, swift-flowing icy rivers which must be crossed, hunter's guns & harsh winter storms. John Groth's striking illustrations provide a dramatic & realistic look at this American animal that has survived from the Ice Age. 59 pgs. Ages 7-12. 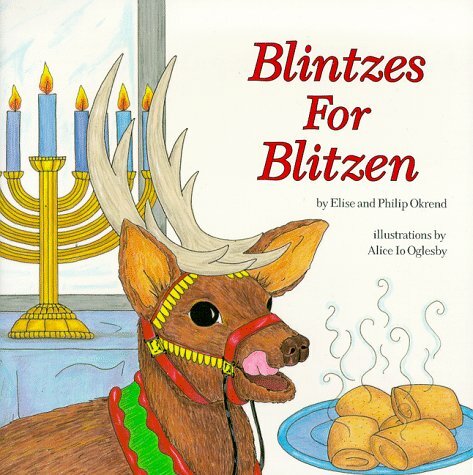 Tells the story of Blitzen, Santa's wandering reindeer. Blitzen's wandering and big appetite takes him to the home of a baker named Bernie. Bernie and his family are Jewish and are preparing blintzes, a pastry treat for their Hanukkah celebration. Soon Blitzen and Bernie's family are exchanging stories about their different holiday celebrations. The book is a wonderful story that teaches children to understand how Christmas and Hanukkah can coexist in our modern age. 32 pgs. Ages 6-10. 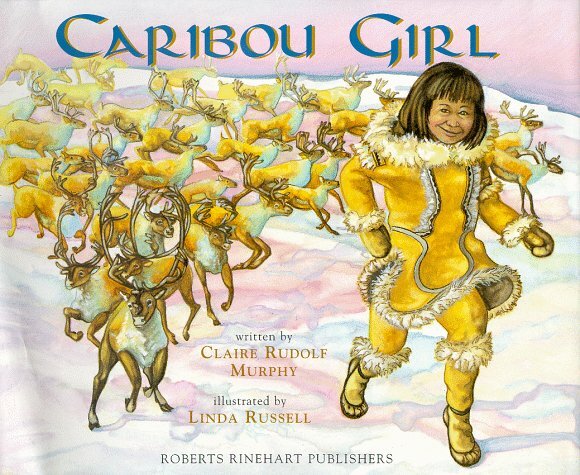 Story of a Inuit girl who is transformed into a caribou & travels with the herd in order to save her family from starvation. Great illustrations. 35 pgs. Ages 4-8. An advent story & calendar. The journey to Christmas Forest of a puzzled reindeer and his group of animal friends. Travel with him through the frozen forests of the north as he collects a group of companions, from Silent Wolf to surly Magpie, shy Ermine to raucous Crow, and they prepare to meet one very special new aquaintance - familiar to children everywhere. This special edition also contains a full-color advent calendar, complete with 24 opening windows. Great Color illustrations. 34 pgs. Ages 5 & up. True account: Each autumn the elk of Yellowstone National Park have come down the mountains to their traditional winter feeding ground at Jackson, Wyoming. They began to starve when humans settled on their pastures and in 1912, a winter refuge was created for the elk. Each spring the Boy Scouts of Jackson go into the refuge and gather antlers that the elk have shed. 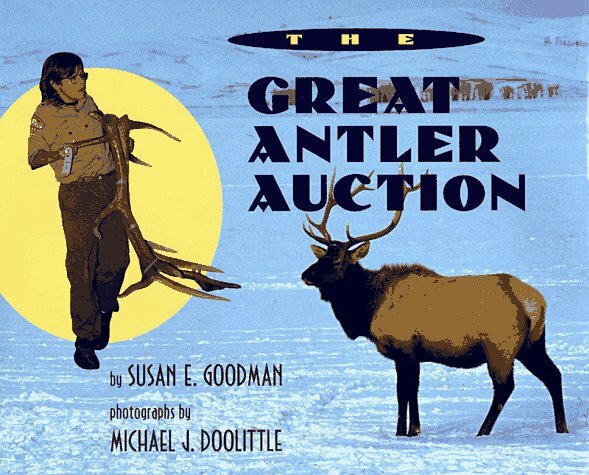 The antlers are then sold at auction, with the proceeds going to pay for food for the elk the next winter. Color. 40 pgs. Ages 9-12. A pictorial look at the life of a Moose. Describes every feature of the animal's life cycle: antlering, rutting, courting, calving, feeding and defending itself against predators, mainly bears and wolves. But perhaps the most fascinating activity to watch is the moose's ability to swim in lakes where it actually plunges to the bottom for a full minute to feed before breaking the surface in a burst of spray with streams of pondweed trailing from its hugh mouth. 64 pages B/W photos. Ages 9-12. 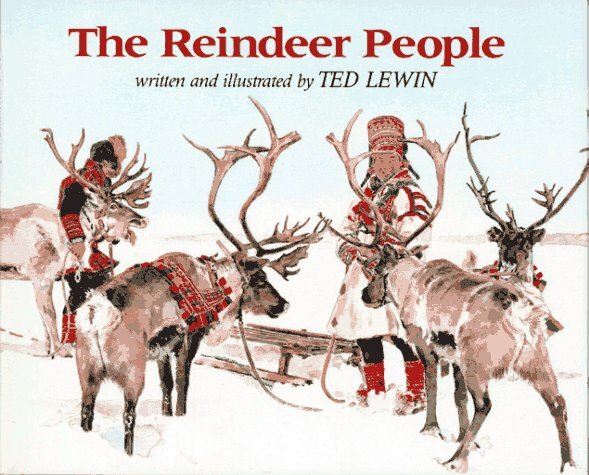 Describes the ways reindeer have adapted to living in a cold climate. Ages 4-8. Information gives kids a basic foundation for understanding the Whitetai.l Describes the characteristics and behavior of the white-tailed deer and follows a fawn through its first year of development. 48 pgs. Ages 7-12. 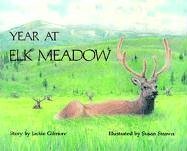 Story of a year in the life of a herd of elk in their natural habitat. Color illustrations. 16 pgs. Ages 4-8. Information on the deer, moose, elk, roe, red, fallow, whitetail, mule, blacktail, and others. 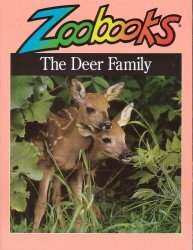 An all-in-one, everything-you-wanted-to-know-but-didn�t-know-who-to-ask guide to the world�s most fascinating deer. Features 24 pages of striking wildlife photography, insightful writing, colorful illustrations, and diagrams that explain in simple terms things that make "animal facts" come alive for your child. Ages 5-12.